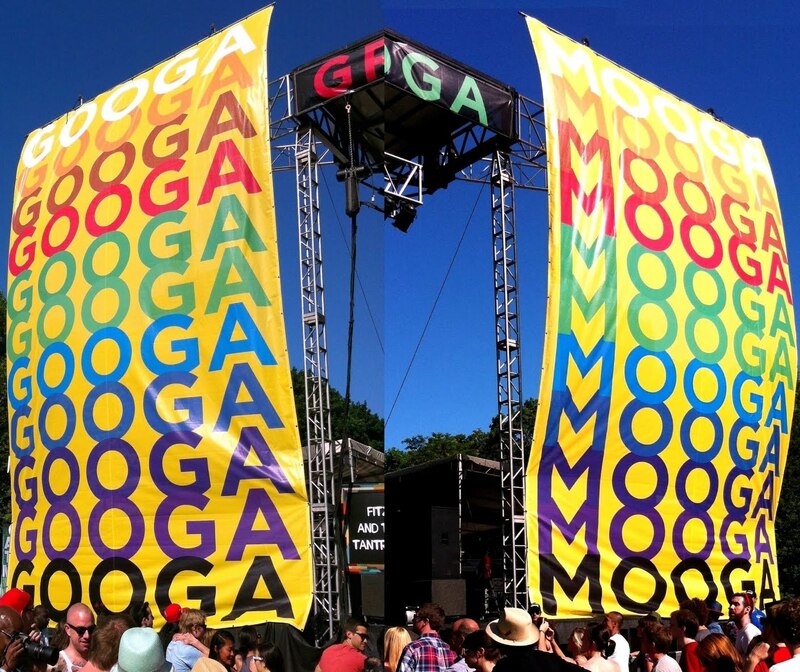 “A huge thank you to everyone who helped make the inaugural Great GoogaMooga so special: all of the food and drink vendors, our excellent staff and volunteers, the amazing musicians and chefs, the park and mother nature for the unparalleled weather and most importantly, all of you fans! My only real qualm is that I had expected it to be a more music-focused festival, and I hope that they do a better job with the lineup next year. That said, they crushed it on the foodie front, with presentations by Anthony Bourdain, Chef Morimoto, April Bloomfield and other culinary greats. We also missed Charles Bradley, which would have been cool – I mean, the guy’s called the “screaming eagle of soul”. Ultimately I viewed it less as a full out music festival and more as a beautiful 70-something and sunny day in Prospect Park with great food, beer, wine, good vibes, the most happy New Yorkers I’ve ever seen in one place, and some good music. Hard to complain about that. And obviously Hall and Oates killed it. 1) The smoked meat sandwich from Mile End Brooklyn. Tried it because the line was so short and turned out to be a truly serendipitous discovery. 2) The Crawfish Monica from Kajun Kettle. My first and not my last. 3) Moving to Extra Mooga (VIP). Total game changer. It was like being let into a secret shaded forest behind the festival. Also allowed for us to be right there in front at the main stage. 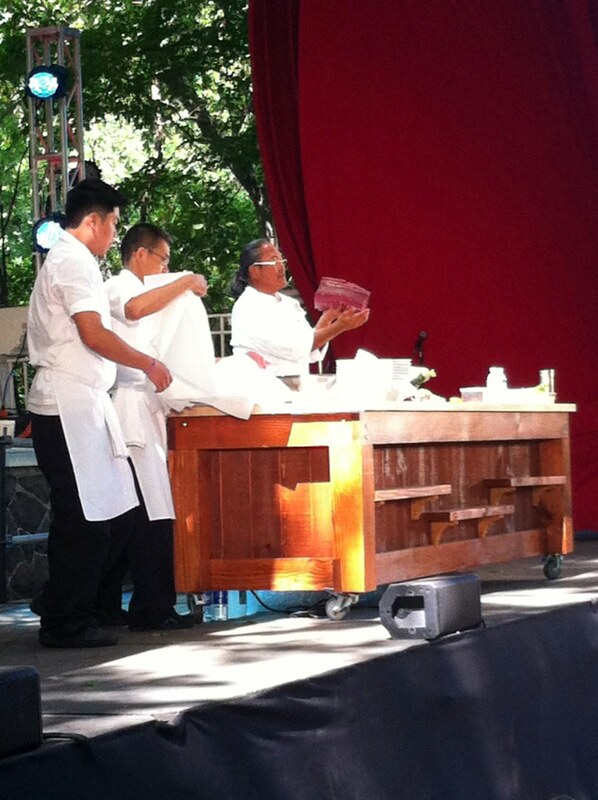 4) Chef Morimoto’s presentation on tuna and the following tasting. Some of the best tuna sashimi I’ve ever had. 5) Pat LaFrieda bacon cheeseburger. Pure decadence. 6) Hanging with the Dirty Dozen Brass Band straight outta New Orleans. 7) Fitz and the Tantrums doing their whole Indie-Pop-Soul thing. 8) Watching Christian Scott from the the bridge overlooking the Boat House (another Extra Mooga perk). Not a bad view. 9) Dancing to headliners Hall and Oates’ smooth 80s hits while Daryl Hall’s mop flowed in the breeze of several wind machines. All good minus a belligerent meat-bone-wielding guy bumping around in the front who ultimately got kicked out. Who knew Hall and Oates could make someone so angry? 10) And my first silent disco. I always thought it would be totally lame, but dancing to a little MJ turned out to be the perfect end to the party. See all you Googa Mooga’ers again next year!